Typically, people or companies on Twitter get chided for saying dumb things. On Wednesday, the U.S. Department of Transportation was taken to task for something seemingly more benign, but still important to note: the agency violated an anti-lobbying provision when it retweeted and liked a tweet, according to a federal watchdog. In a report issued Wednesday, the U.S. Government Accountability Office said the transportation department violated a provision in the Financial Services and General Government Appropriations Act, when it retweeted and liked a tweet that urged its followers to “[t]ell Congress to pass” certain legislation. 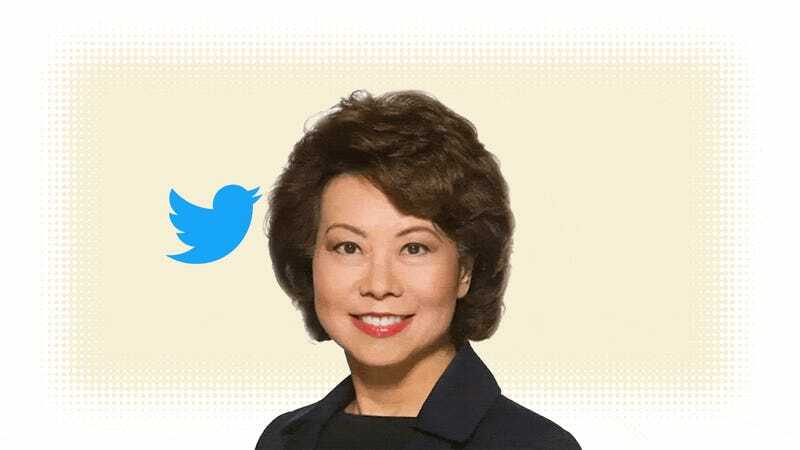 “Although DOT was not the author of the tweet, DOT, by retweeting and liking it, not only endorsed the message, but also created agency content,” the GAO wrote in a six-page report. It’s a fascinating read because it all relates to a separate Twitter account operated by the transportation department, @SmarterSkies, which, you’ll see below, has 102 followers. I’m sure some of you are already snickering about a government watchdog expending resources to take an agency to task for retweeting something from a separate account with only about 100 followers. But there’s a serious issue here, the GAO points out. In particular, the GAO cites a law that says the department shouldn’t used funds “for publicity or propaganda purposes ... to support or defeat legislation pending before the Congress,” and that, the GAO concludes, is what happened here. “Although DOT was not the author of the tweet, DOT, by retweeting and liking it, not only endorsed the message, but also created agency content,” the GAO wrote. The DOT’s office of general counsel directed the agency to remove the retweet immediately, which the agency did. Weeks later, however, the “like” was found. However, on August 15, 2017, DOT IG discovered that the agency had not yet unliked the tweet. DOT IG explains that, although the like occurred on the @SteveForbesCEO Twitter feed, Twitter’s user interface allows a user to view all of the tweets that another account has liked, if he or she is logged into a Twitter account at the time he or she visits the account. Consequently, as DOT IG explains, until the tweet was unliked, it was possible to see it by visiting the Smarter Skies Twitter account and clicking on the “Likes” tab. When DOT IG brought this to the department’s attention, DOT unliked the tweet. You’re probably thinking this is silly, which, fine. But the law is the law, the GAO wrote, and this clearly sets the boundary for what other agencies in the Trump administration should do when they’re utilizing the government’s social media platforms. A better solution would be for everyone to get off Twitter.